One of the notable specimens from the Silvane Collection. 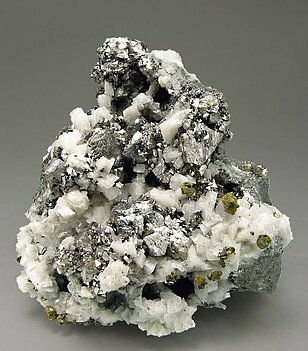 From a classic locality for the species, very sharp octahedral Siegenite crystals with a more than considerable size on a very attractive and Dolomite-rich matrix with small twinned Chalcopyrite crystals. An extraordinary specimen.